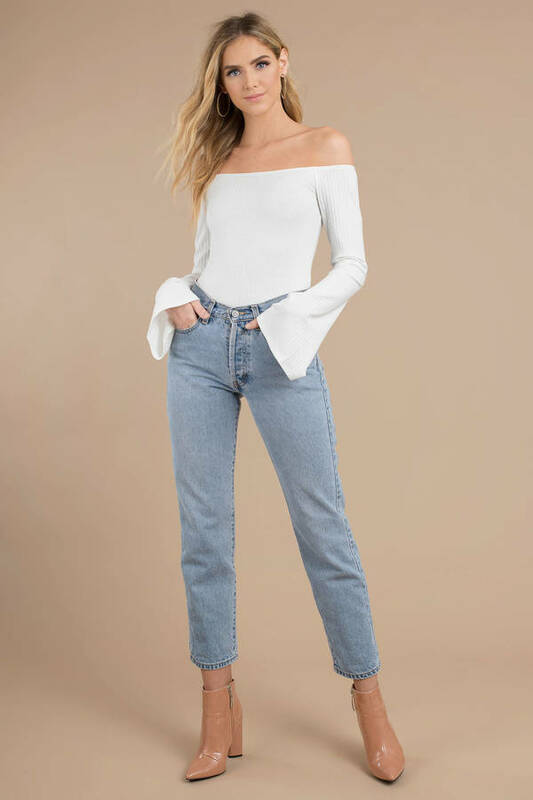 Check out Tobi's Estelle Off Shoulder Bell Sleeve Bodysuit A bardot neckline is always elegant, but the magic happened when we added chic bell sleeves. The Toast Estelle Off Shoulder Bell Sleeve Bodysuit comes in a stretch poly rayon rib. 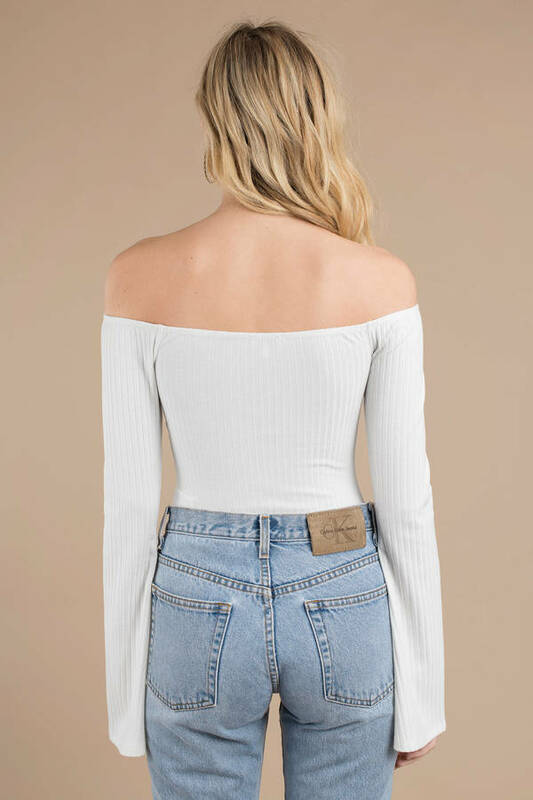 Add this off shoulder bodysuit to your casual daytime rotation and practice your thanks-for-the-compliment face. A bardot neckline is always elegant, but the magic happened when we added chic bell sleeves. 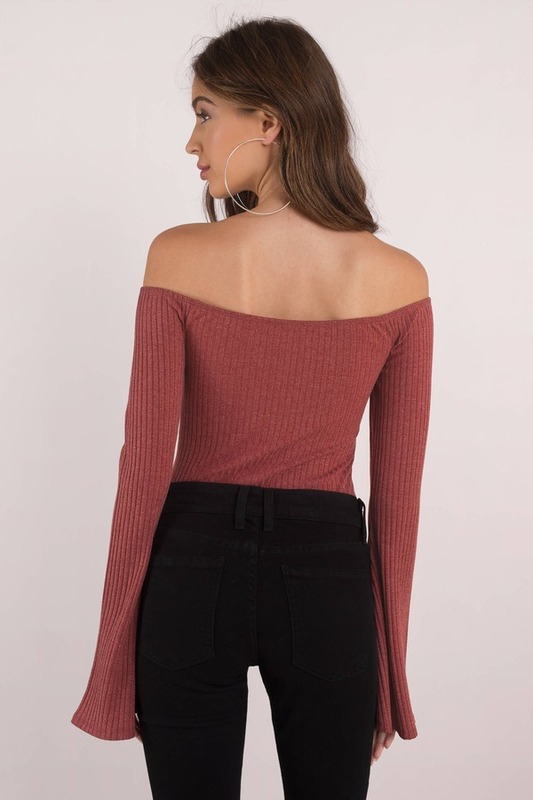 The Blush Estelle Off Shoulder Bell Sleeve Bodysuit comes in a stretch poly rayon rib. 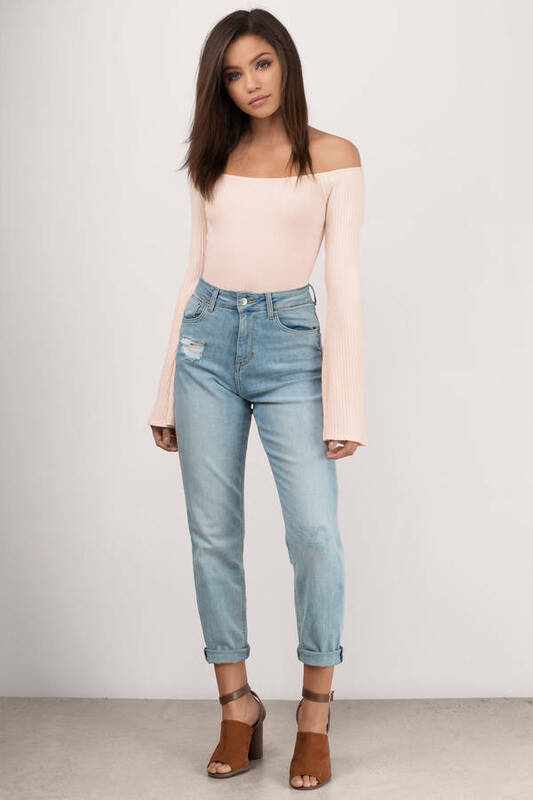 Add this off shoulder bodysuit to your casual daytime rotation and practice your thanks-for-the-compliment face. A bardot neckline is always elegant, but the magic happened when we added chic bell sleeves. The Toast Estelle Off Shoulder Bell Sleeve Bodysuit comes in a stretch poly rayon rib. 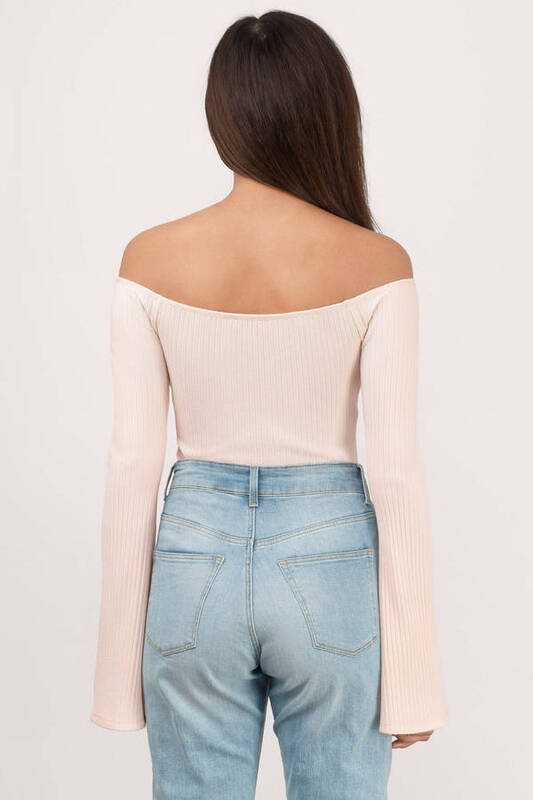 Add this off shoulder bodysuit to your casual daytime rotation and practice your thanks-for-the-compliment face. A bardot neckline is always elegant, but the magic happened when we added chic bell sleeves. 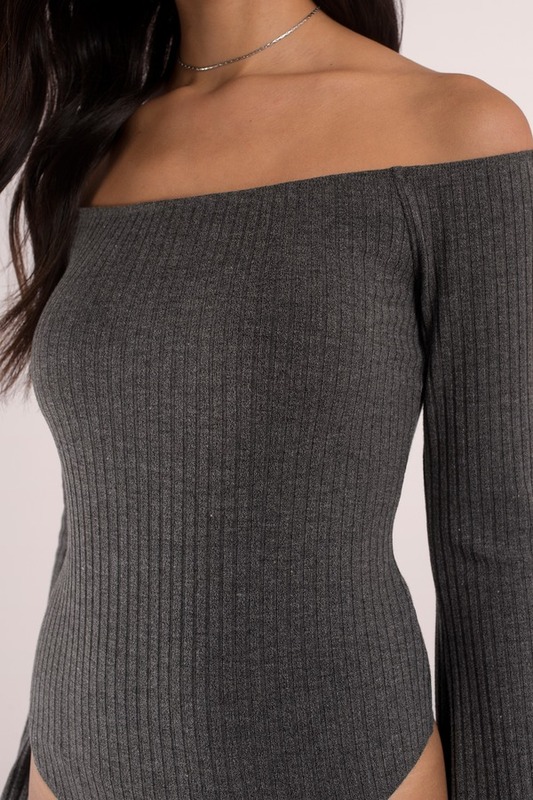 The Charcoal Estelle Off Shoulder Bell Sleeve Bodysuit comes in a stretch poly rayon rib. Add this off shoulder bodysuit to your casual daytime rotation and practice your thanks-for-the-compliment face. A bardot neckline is always elegant, but the magic happened when we added chic bell sleeves. 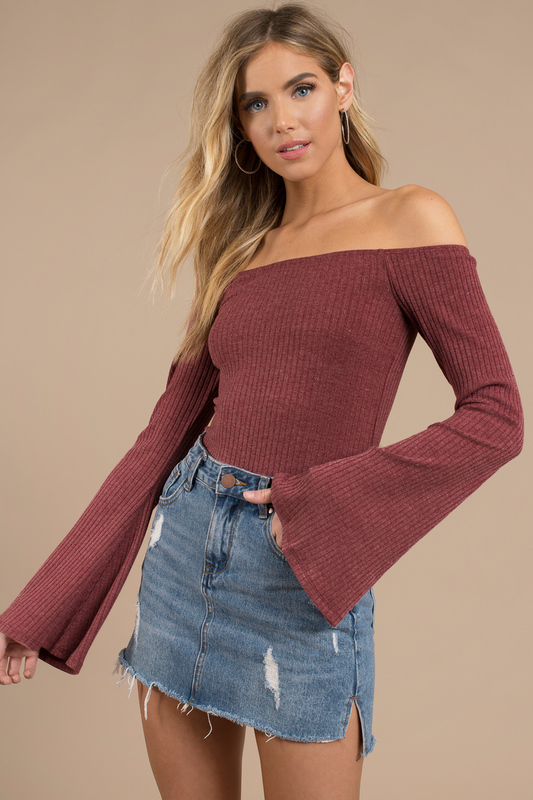 The Wine Estelle Off Shoulder Bell Sleeve Bodysuit comes in a stretch poly rayon rib. Add this off shoulder bodysuit to your casual daytime rotation and practice your thanks-for-the-compliment face. A bardot neckline is always elegant, but the magic happened when we added chic bell sleeves. The White Estelle Off Shoulder Bell Sleeve Bodysuit comes in a stretch poly rayon rib. 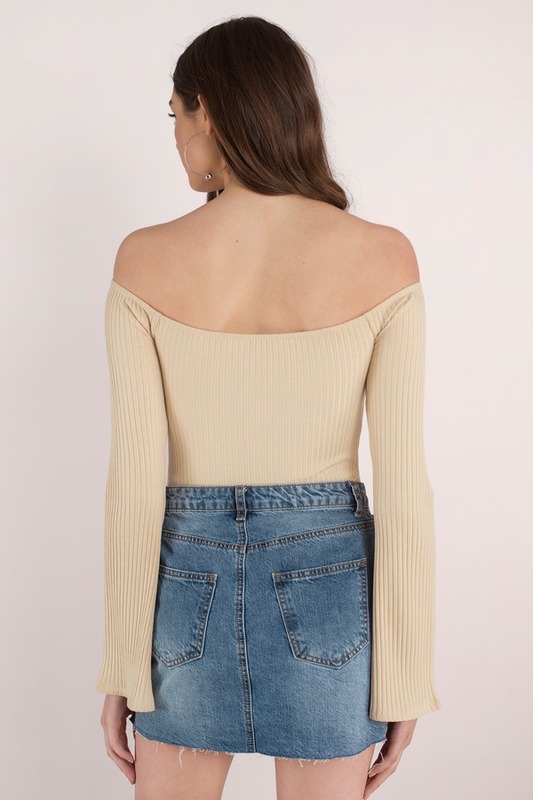 Add this off shoulder bodysuit to your casual daytime rotation and practice your thanks-for-the-compliment face. White, Charcoal, Wine modeled on a size Small.